Welcoming clients with its Zen-inspired interior, the community-centric Whole Body provides a healthy escape to clients in search of a holistic approach to fitness. The friendly staff helps this studio deliver on its “connect to your happiness” motto, and – just as importantly – delivers on clients’ fitness goals. 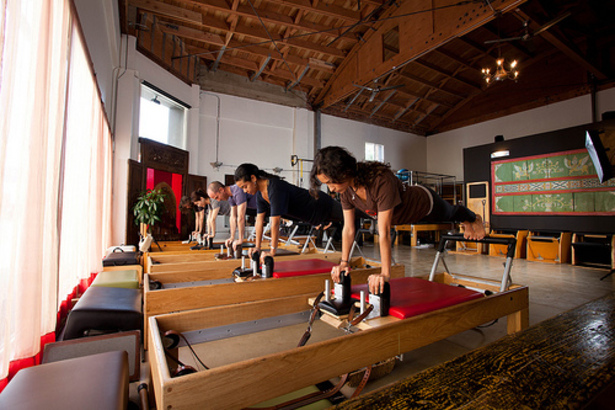 Offering Pilates, TRX, Jump Board and more, Whole Body is an oasis of wellness in a busy urban setting. Why You Should Check It Out: Looking for the one-on-one care of private instruction at group class prices? The small classes (5-7 students maximum) at Whole Body enable certified instructors to provide individualized attention to clients. Students utilize all of the classical Pilates apparatus in the diverse offering of small group classes and private training alike. In so doing, they are set up to achieve the myriad benefits of Pilates, including improved posture, strong core, increased flexibility, better balance, lengthened muscles, weight loss and stress reduction. Whole Body takes a holistic approach to health and happiness, and offers wellness consultation to complement clients’ workout regimes. To further enhance this holistic approach, an in-studio lifestyle store offers gear, nutrition bars, nutrition supplements and clothing to fit with a healthy lifestyle. 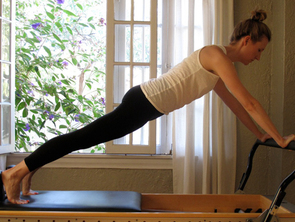 Advice for first timers: If you are new to a Pilates practice, or simply want to brush up on your skills before jumping into more advanced levels, check out a Beginner Pilates class. New clients can take advantage of discounted group and private sessions through Class Welcome Packs. Know Before You Go: Toesox, which can be purchased at the studio, are recommended, but barefoot is also allowed. Free street parking and metered parking are available surrounding the studio, but mind parking restriction signs. Towel service and water are provided. Whole Body has a bathroom (no showers), changing room and secure lockers. I live in Atlanta, but am interested in your program. The links for onlineworkouts do not seem to work. Do you have a link with pricing for the program?